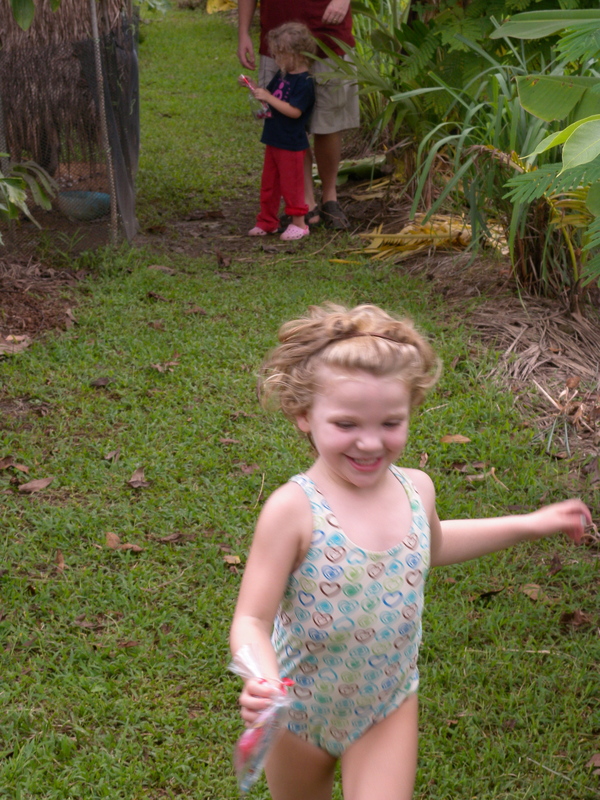 Ascher’s classmate Annie invited him to her birthday party out in Mae Rim, a rural district north of Chiang Mai. Annie’s father Jeff is an American with a job in IT here, and her mother Sarah is from Yunnan Province, China, where she grew up farming. Together, they run Fair Earth Farm, a small CSA of three rai (a rai is a Thai unit for measuring land; three rai is about an acre and a quarter). 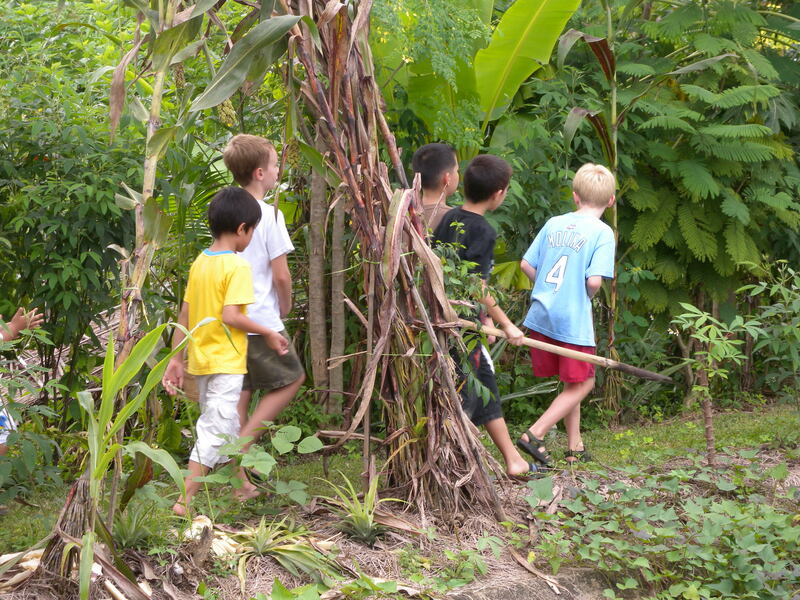 While most of the lessons of integrated and small-scale agriculture were lost on Ascher, he did discover that the Thai countryside is terrific for kids. Jeff started the kids off with ice-breakers of crossing their canal on a narrow log (Ascher fell in, sort of on purpose) and then fishing from their fish-pond. 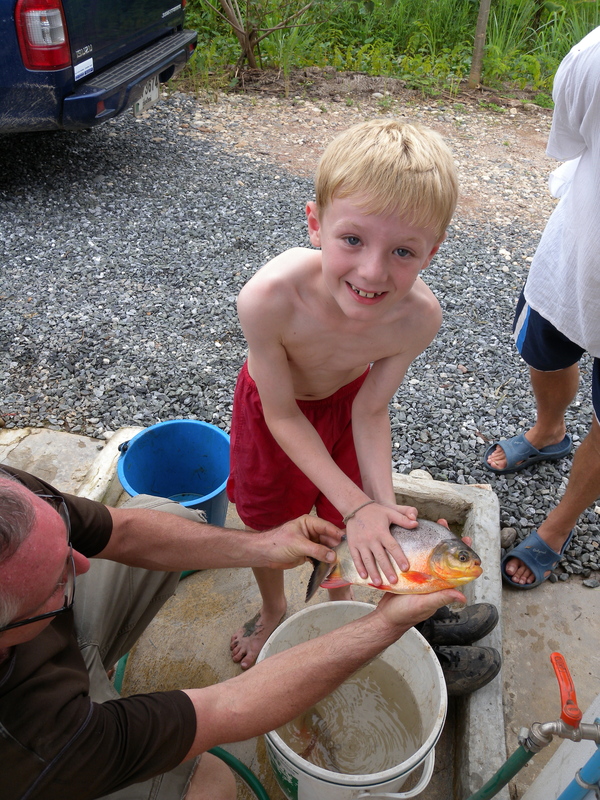 Ascher landed the first pomfret, which was sent home with his best friend Hugo (seated next to Ascher in the white shirt). 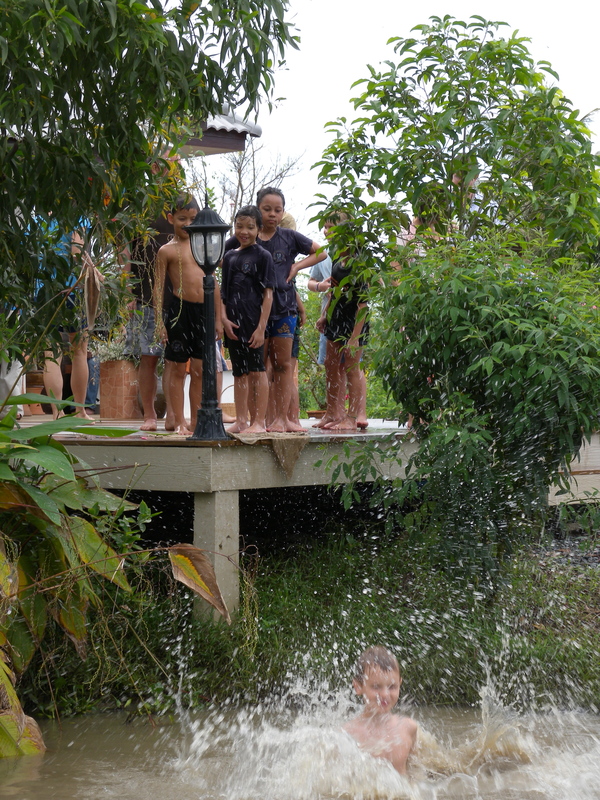 While they were poking around the water, the kids were also instructed to find and relocate to dry land any “evil demon rice-eating snails” (Annie’s preferred term) that might migrate from the fish pond across the retaining wall to the rice paddy on the other side. After that, there was an elaborate treasure hunt throughout the rice paddies, with various packages of treats hidden in the papaya trees, along the walls, and in the small flowering shrubs at the corners. 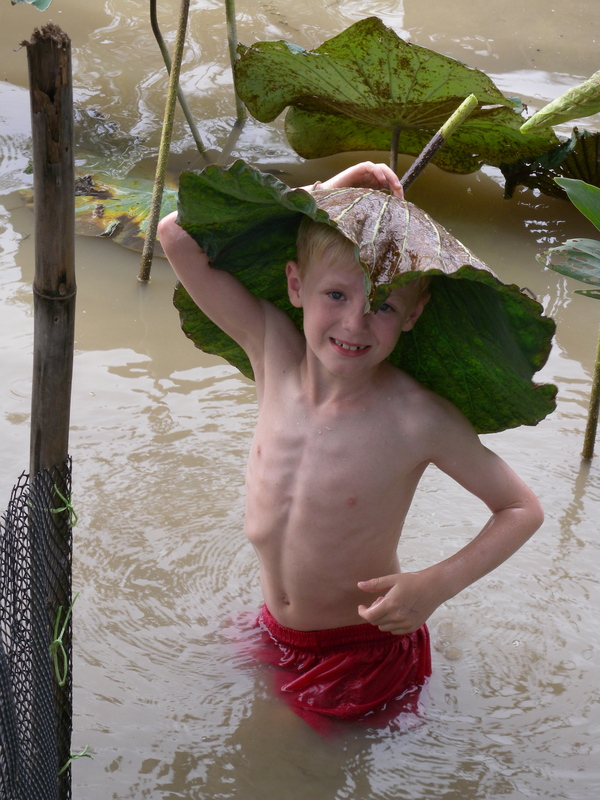 Then, it was time for the fish-pond swim and swamp crawl. 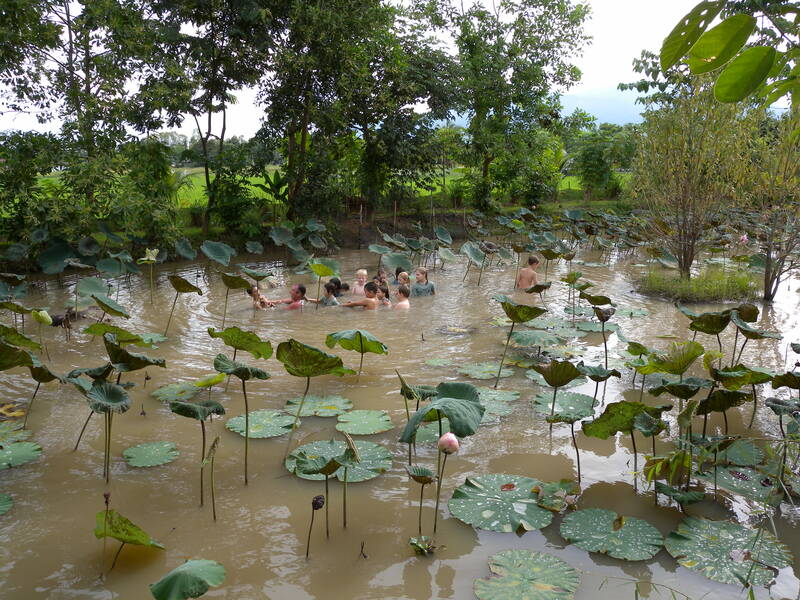 Many of these kids had swum in fish ponds before, and were used to the slippery clay bottoms and steep sides. Ascher required a little encouragement, but then he and the rest were jumping off the porch and wearing the latest fashion of lilly-pads as hats. Camilla, whose swimming has regressed dramatically, would have none of it, although she did like wearing her bathing suit on the treasure hunt. When the charms of attempting to drown your classmates had palled, Jeff led a swamp crawl through the water-lilllies. Water-lillies have thorns, and the snail-shells found along the clay bottom can be sharp, so there was, as Ascher put it, adventure and danger, too. Thais don’t do the drop-your-child-off-birthday party; the grownups all mostly stayed for the fun, sat around in the hazy humidity, and ate spicy noodles and fruit. There was Western-style spaghetti for the children, and a fairly good approximation of guacamole and chips. Parents and smaller children chatted, moved slowly between the kitchen and the porch deck, and occasionally hosed off a very muddy child. It was very slow paced, with no rush to dinner or the cake, and with no set end-time. The party was the event of the day, and perhaps the evening, and as long as it was sanuk, people were going to stay and relax. One of the stranger realities of expatriate life in Thailand is “the visa run.” Thailand exercises some measure of control over the thousands of foreigners living within its borders by forcing them to leave the country every few months, even if just for an hour. (In theory, if they don’t want you back, they can keep you out.) Various types of visas can get you around this inconvenience. The children’s educational visas do not require them to leave as long as they are enrolled in school, but the visas Ken and I hold—research visas—do. We could have qualified for “caretakers’ visas” (not requiring visa runs) by putting six and a half thousand dollars into a Thai bank—or simply make a visa run. Before I was sufficiently pregnant with Ascher to qualify for medical extensions of my visa, all my visa runs had taken place without me actually being present. The underground organizations serving Burmese political dissidents for whom I worked were able to acquire visa stamps for me illegally. 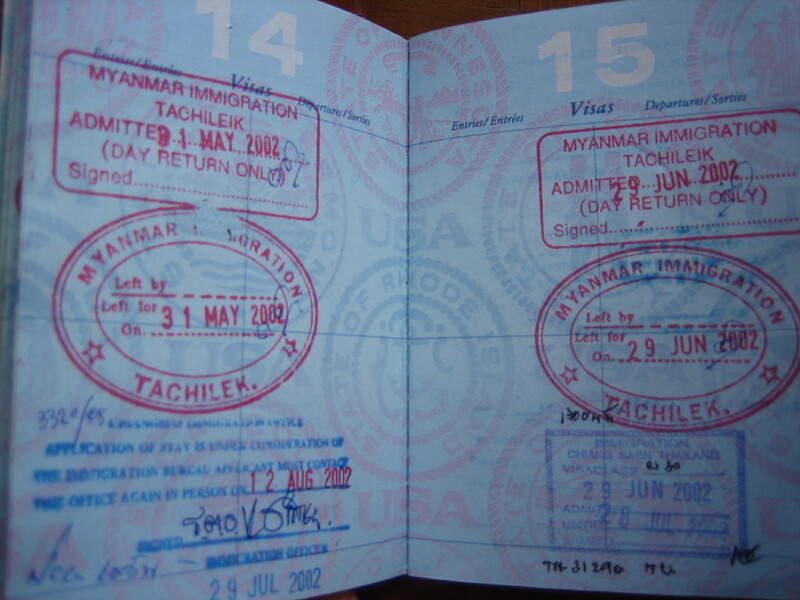 They would use bribe officials on both sides of the Burmese and Thai borders to stamp my visa as if I had left the country and returned, so my passport is full of stamps for trips to Burma that I have never made. Without such connections now, we opted for a weekend get-away to Chiang Rai, a small city about an hour from the border crossing of Mae Sai (Thai) and Tachilek (Burma) After school on Friday, we took a night bus into the mountains and stayed in a charming “family apartment” on the top of a guest house in the city center (sleeping quarters in the top room, dining and sitting area one flight of teak steps below, private garden area and an outdoor shower). Saturday morning, we hired a car to take us to the border. There’s a tiresome debate and much confusion about whether or not to call that country Burma or Myanmar, about how Myanmar is a racist term, or how “Burma” is a relic of colonialism. Technically, it’s the “Union of Myanmar” anyway, the name bestowed on that long-suffering country in 1989 by SLORC, the military junta that bleeds it dry (the State Law and Order Restoration Council). SLORC, which is an ideal name for an evil and powerful entity, has since hired public relations consultants, and, to my ever-lasting regret, renamed itself the State Peace and Development Council. They still insist, however, that the country’s name is Myanmar. In memory of my grandmother, who called Istanbul “Constantinople” to her dying day, I’ll stick with calling it Burma. As we crossed the river towards Burmese immigration, we had to cross the bridge from the left to the right, because in Burma, you drive on the right, while in Thailand, you drive on the left. Barefoot boys helpfully pointed us to Burma in the hopes of a few baht, while little girls begged with babies strapped to their backs. Since these children would need to have passports to leave Burma and spend the day in the no-man’s land between the two country, I cannot help but wonder how they got this potentially lucrative gig. 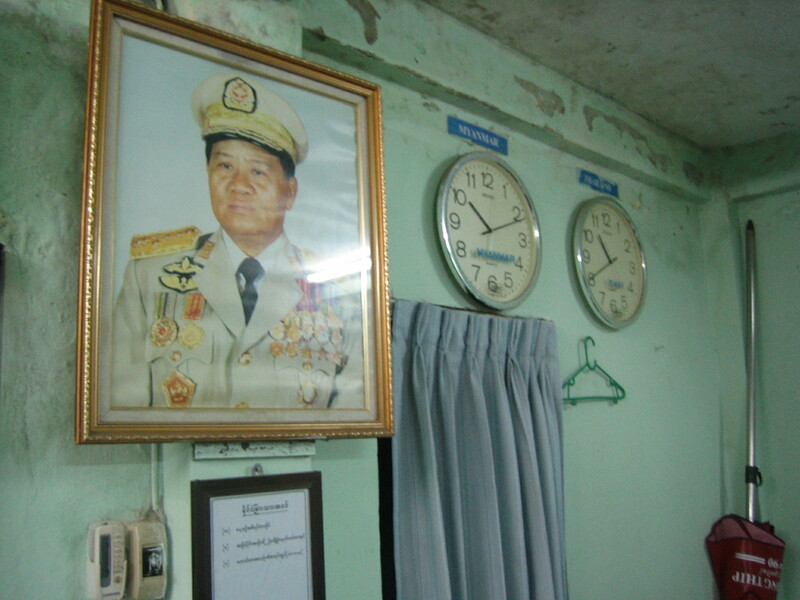 The other shift that one must make is to adjust your watch, as Burma is a half-hour earlier than Thailand (GMT+ 06:30 hours). While there are other countries that use times off-set from Greenwich Mean Time, we can only figure that this is part of the junta’s paranoid madness. If a government relocates its entire administration from Rangon to Naypyidaw, a city built entirely from scratch and by forced labor, because the astrologists told them to do so, what is a mere half-hour’s difference? 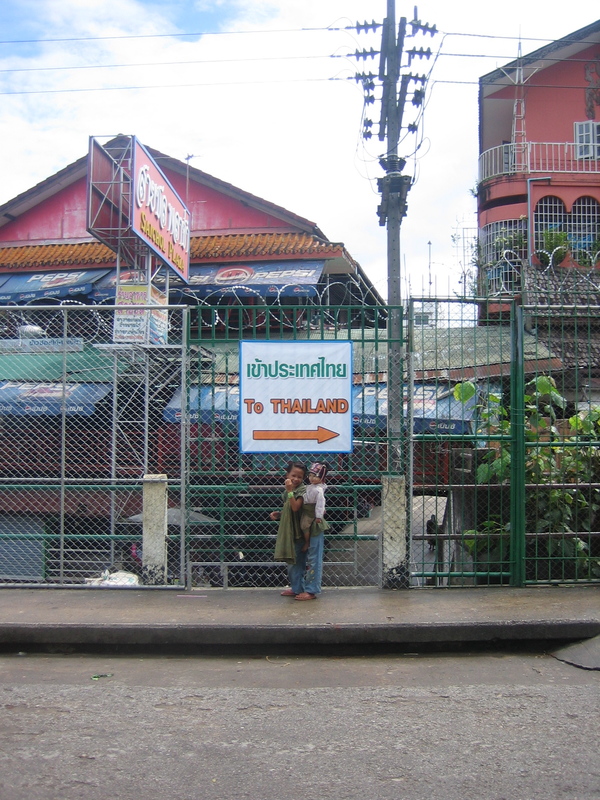 Otherwise, Tachilek was nothing more than a drab market town, dominated entirely by Thailand. There was no pretense of any merchant wanting anything but Thai baht or US dollars; even if I had wanted to purchase Burmese kyat, there was not a money-changer in sight. The goods sold were exactly the same as those sold in Chiang Mai’s Night Bazaar, cheap sunglasses and counterfeit handbags and “handicrafts” made in Chinese factories. We hired a tuk-tuk—gratifyingly different than a Thai tuk-tuk—to take us to a few temples to while away some time. The greatest difference was that the temple guides wore thanaka, a Burmese cosmetic and sunscreen that looks like pale yellow paint across the cheeks, and spoke better English than their Thai counterparts, a legacy of English colonialism. We searched for a Burmese restaurant: I craved laphet thoke, a sour salad made of fermented tea leaves to which Burmese friends had introduced me years ago. In the end, I had to settle for Thai vegetables on rice, while Ken and the kids ate pat-sieeu. The brightest spot of our visit to Burma was the tiny man wearing a striped longyi (sarong) who saw me ferrying the children one by one from the alley-way where we had taken shelter from a downpour over to the restaurant, with the only umbrella we had thought to bring. I was headed back to get Ken, but this gentleman followed me and smilingly escorted Ken to the restaurant with his own umbrella, stretching up as hard as he could to hold it up over Ken’s head. As I told the children later, Burma is a dark and miserable country, but that doesn’t mean that all the people there are miserable or unhappy. As we left Burmese immigration, a male guard reached down and picked up Camilla and hugged her tight, tickling her to hear her laugh and snuggling her close. Even towards the end of a long day, she didn’t mind this at all; it probably felt less invasive than the women in the temple. No doubt this young man had been posted to this dull crossing far away from his own children or nieces or nephews. 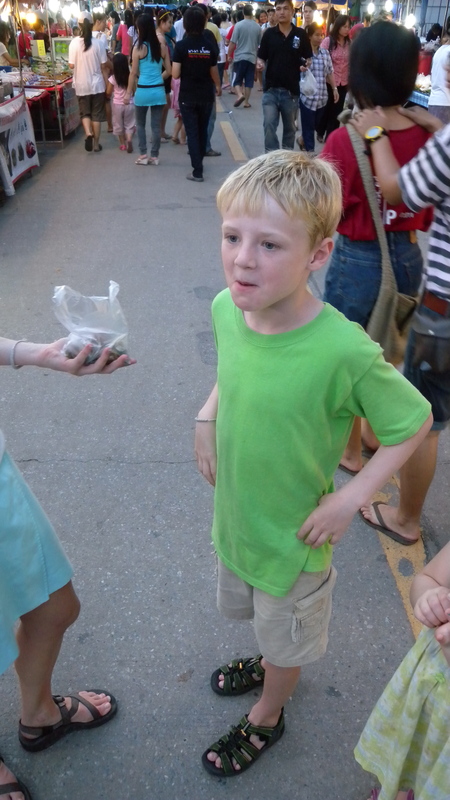 All day long, he is under orders to look sternly at the Thai merchants and scantily-dressed Westerners freely passing him by, all of whom resent, hate, or fear the regime that gives him his clothing and feeds him his rice. Chiang Rai is, I am told, what Chiang Mai was like thirty years ago. Obviously, there was a fraction of the traffic and the cost of living was significantly lower. 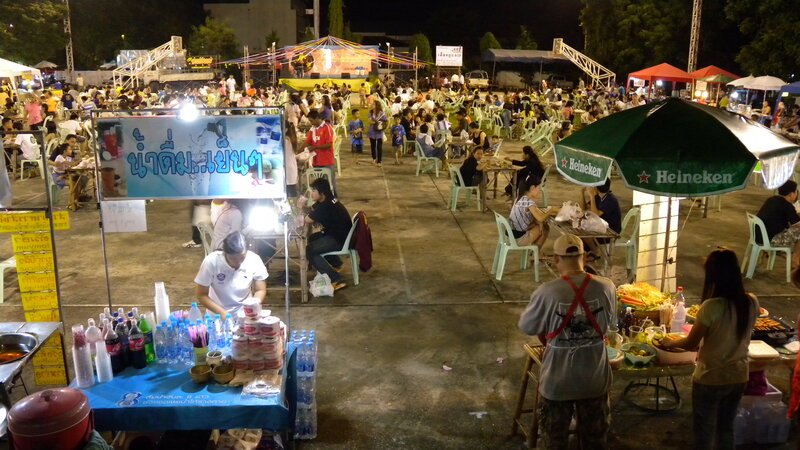 But what impressed us the most was their walking street, the weekend night in which Thai cities close off major thoroughfares and food and clothing vendors set up shop. Their walking street was the best yet, with long stretches dedicated to nothing but food, with plenty of tables and chairs set up at which you could eat your gatherings, musicians, and the most sought-after object of all, trash-cans. And the food was outstanding. Tables heaped with mounds of different yum sen (noodle salads), fried chicken, and sausages of kinds we’d never encountered: Ken ate one that had medicinal herbs in it. I always seek out the skewers of deep-fried tofu—Thai tofu is much firmer and chewier than what you can get in the States—and when I told the vendor that yes, kin phet day (I can eat spicy food), she dipped mine in a dark, herb-saturated sauce that had my mouth glowing for hours. 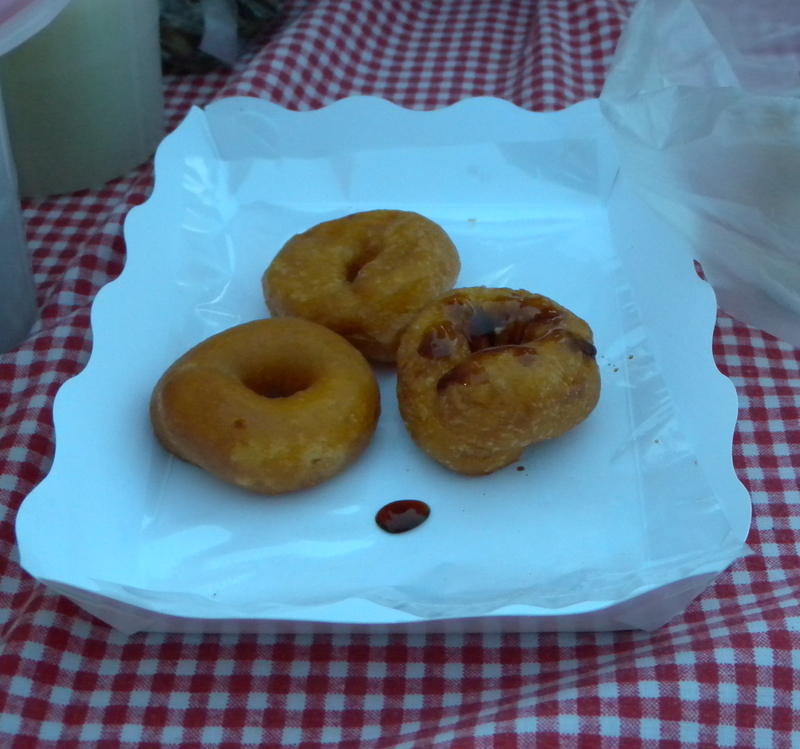 One particular dish, however, almost merits an entry in itself: kanom wong, a kind of doughnut made out of pumpkin and sticky-rice flour, served with a palm-sugar molasses. These kanom were chewy, rich with oil, and barely sweet, and a drizzle of the molasses, more bitter than one would think, pulled it all together. I almost wept. I’d never seen them before, and was sure I would never see them again. I have no plans to ever return to Chiang Rai, and, even if I did, would I be there during the walking street? 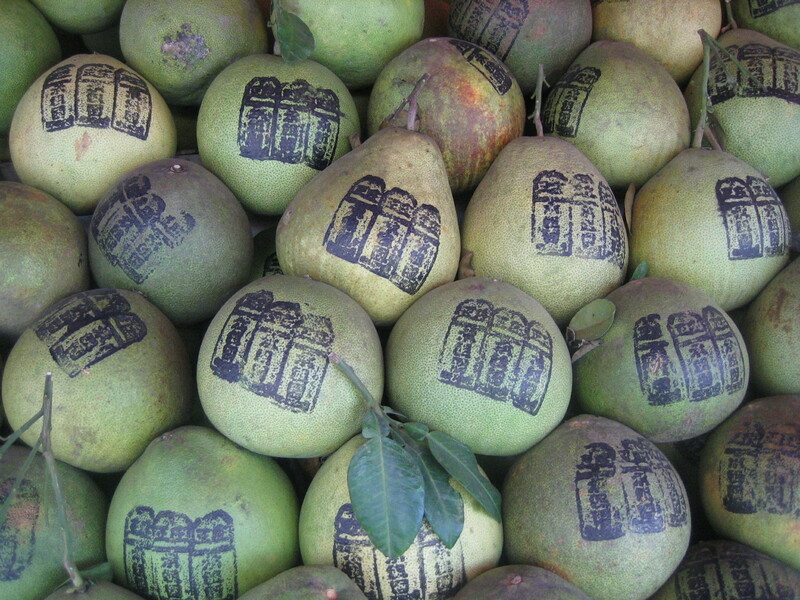 Would this vendor be there selling them again? This, this is mortality: the prospect of never eating kanom wong again. Happily, I have since been assured that they are available in Chiang Mai, and now I have a reason to live, or at least to search every vendor table I pass. The food vendors were also remarkable for their traditional foods. Crickets are a favorite snack in the area. 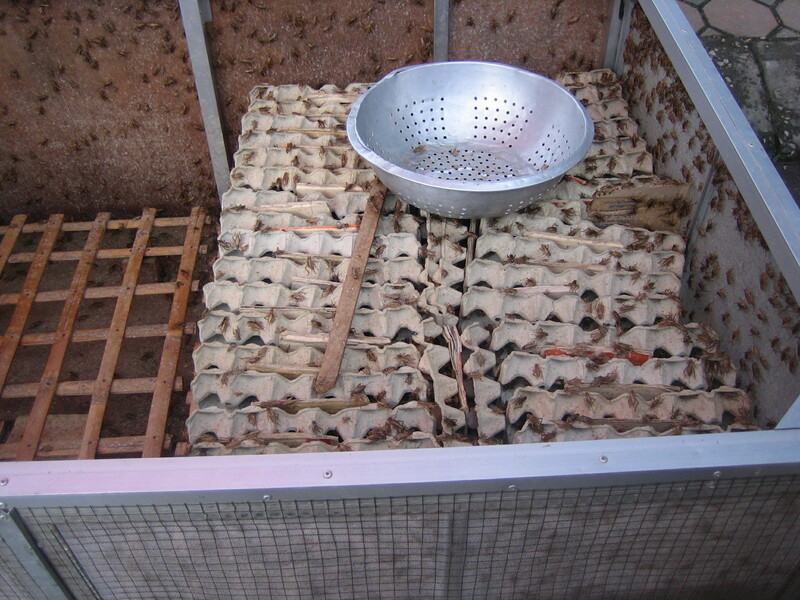 The vendors display their styrofoam boxes of living crickets, whose calls you could hear for yards, even above the musicians over the loudspeakers. 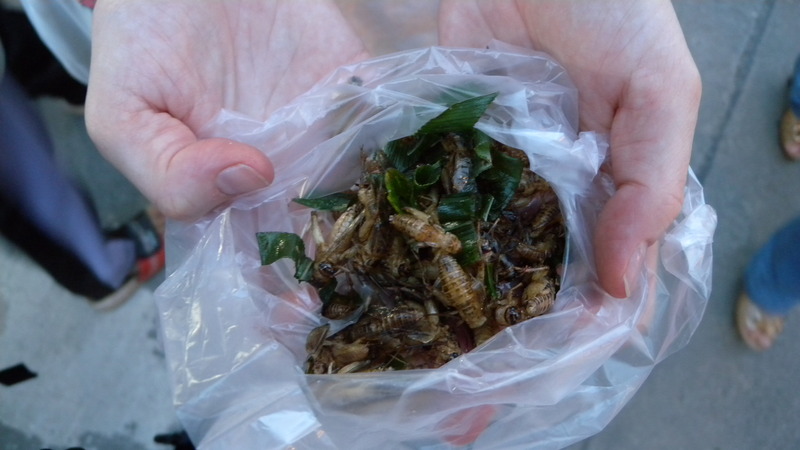 The crickets are scooped up a few servings at a time, mixed in with some shallots and kaffir leaves, and deposited them into woks of boiling oil. People salted and peppered them, and walked around popping them into their mouths like popcorn. Having sensed my own mortality in the face of a doughnut, I was not going to pass this way without eating crickets. We told the children that if they tried one, they could have a soda. Ascher was game. Camilla was not (but got a soda anyway). They taste like a cross between fried chicken and potato chips, but with whiskery legs. 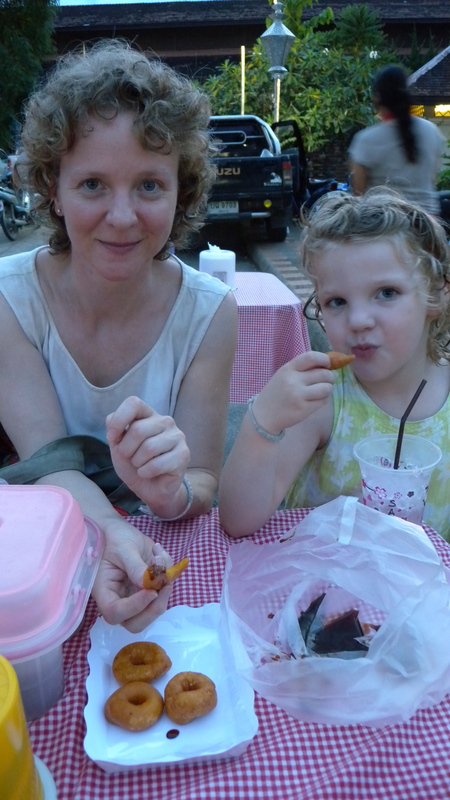 Chiang Rai sees sufficiently few tourists that everyone present assumed that we liked to eat crickets, too, and we were allowed to eat ours in relative peace. Three cheers for Chiang Rai. I just bumped into this party write up. Nice pictures, too! That was a fun day. Thanks for the memories! Hope you guys are well. Visiting a CSA in Thailand! Glad you saw it, and so many enjoyed it! I also like how the kids activities were a mix of the kind of traditional rural fun available on few modern US farms – and having them do a little work (the snails).